Going to the dentist doesn’t have to be scary, or even painful. Dental treatment on a regular basis helps retain optimum oral health. A large population – as high as 50 percent – of Americans do not see a regular dentist on a six-month or yearly basis. Going for months or even years without treatment, for whatever reason, is a detriment to your oral health, smile and often, your confidence. With this Orlando sedation dentist, you no longer have to refrain from vital dental treatment because of fear or reluctance. Sedation dentistry offers various forms of relaxation to enable dental treatment through lower sensations of pain and anxiety. IV sedation is the most relaxing form, performed by certified IV sedation dentist in Orlando and Winter Park, FL , Dr. Zachary Hodgins. With IV sedation, you are completely subconscious, while your vital signs are closely monitored and you receive the dental attention you need. IV sedation is popular for extensive or multiple procedures, saving you time by accomplishing several things in one dental visit. The same medication for IV sedation is also used for colonoscopies, so some patients may have already encountered the sedation process. IV sedation may be used for routine dental cleanings when patients have severe dental phobias or who just prefer to benefit from treatment without exposure to the dental sounds, feelings, smells and the like. Dr. Hodgins also offers nitrous oxide and oral conscious sedation, with lower levels of relaxation. Dr. Hodgins is compassionate. His dental skills are excellent and he has the experience to ensure the most successful, beautiful, comfortable and healthy dental work, including dental implants, implant-supported dentures, full mouth rehabilitation, TMJ treatment, sleep apnea solutions, and porcelain veneers. If you are hesitant to seek dentistry even though you know it’s important, just talk to Dr. Hodgins. Contact him through his website or call or stop by our office. 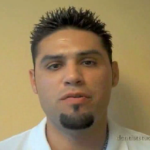 He has helped many people who took months to just schedule their initial appointment. In the end, that patient walked out of the office with a beautiful smile and a dentist she could trust. What can sedation dentistry accomplish for you?